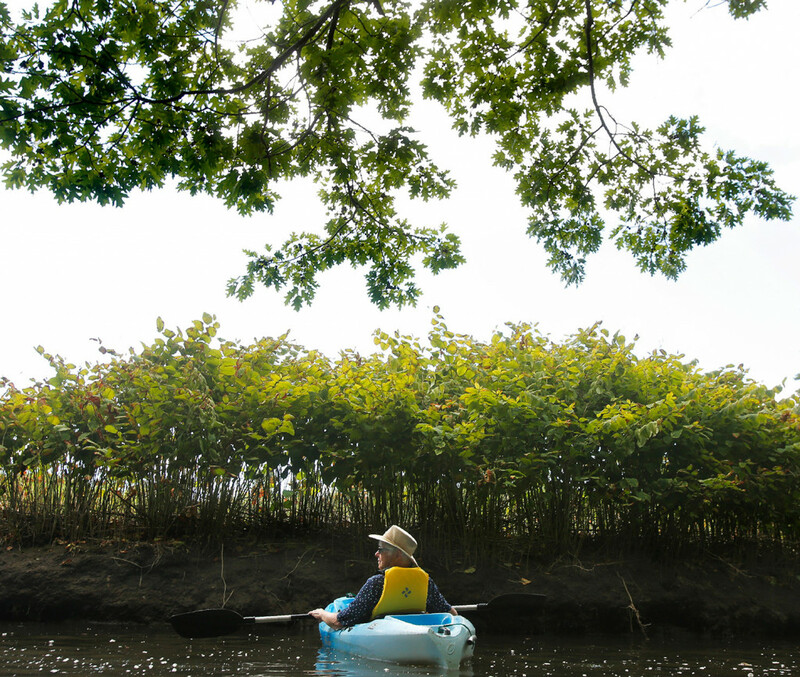 While easy paddling and a lesson make the trips popular, the intent is to teach about ecology. WELLS — A little science, a little nature. 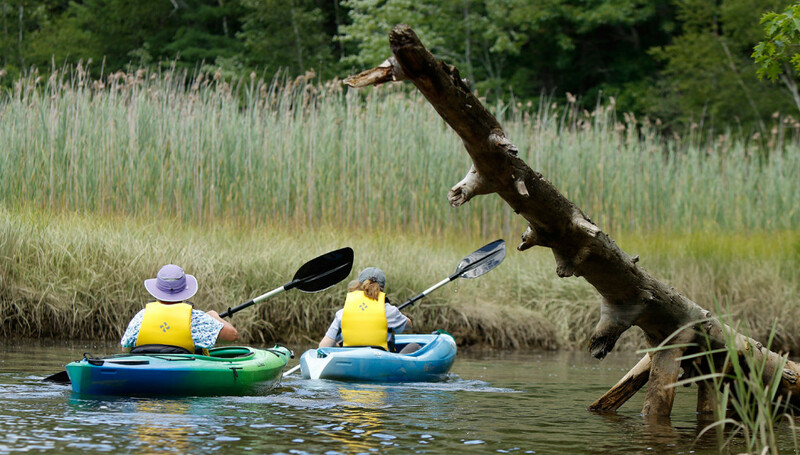 The kayaking trips at the Wells National Estuarine Research Reserve along the Little River have been offering this combination for six years. The trips that wind through lush, undeveloped marshes are offered twice a week, include instruction and cost $50. Trip leader Sue Bickford, the reserve’s natural resource specialist, said the trips typically sell out. But while easy paddling and a kayaking lesson have made these trips popular, their intent is to teach about the reserve’s ecology. “We are not an equestrian center,” Bickford joked of the reserve’s often-misunderstood name. Bickford does most of the mapping on research projects at the reserve. But several years ago she got her Maine registered guide license so she could take the public on the reserve’s rivers and explain her work in a more dynamic way. Now she teaches paddle strokes and how to safely navigate rivers – and adds in a lot of ecology during the two-hour tour through an undisturbed system of rivers that cut through marshland and drain into the ocean. 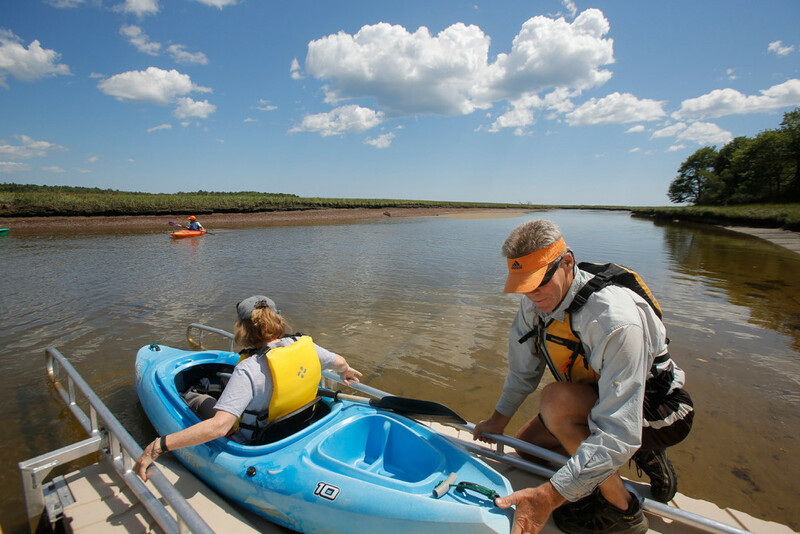 “We hope everyone really enjoys discovering the wonders of the salt marsh, of course. 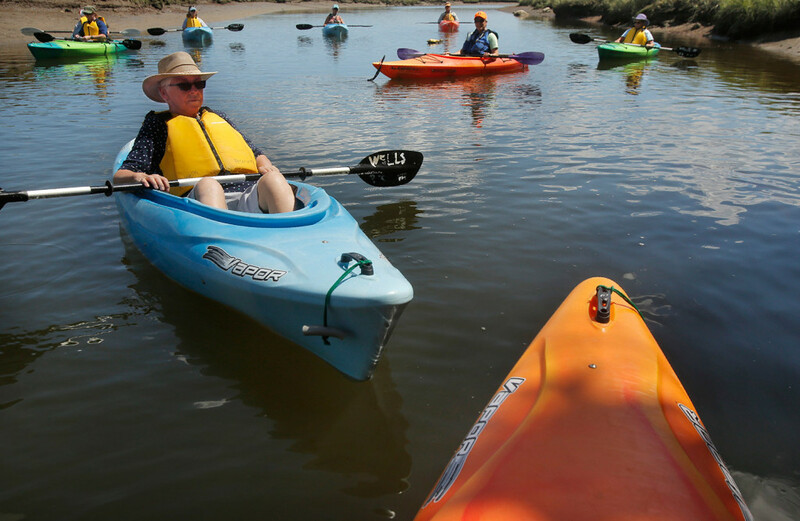 If people are motivated to protect estuaries and the landscapes that drain into them, our kayak tours will have been a success,” said Scott Richardson, the reserve’s communications director. The Wells Reserve is one of 28 national research centers in the National Estuarine Research Reserve System that protects and studies coastal sites around the country. The centers are affiliated with the National Oceanic and Atmospheric Administration, and the research done at these centers is used to aid conservation efforts. 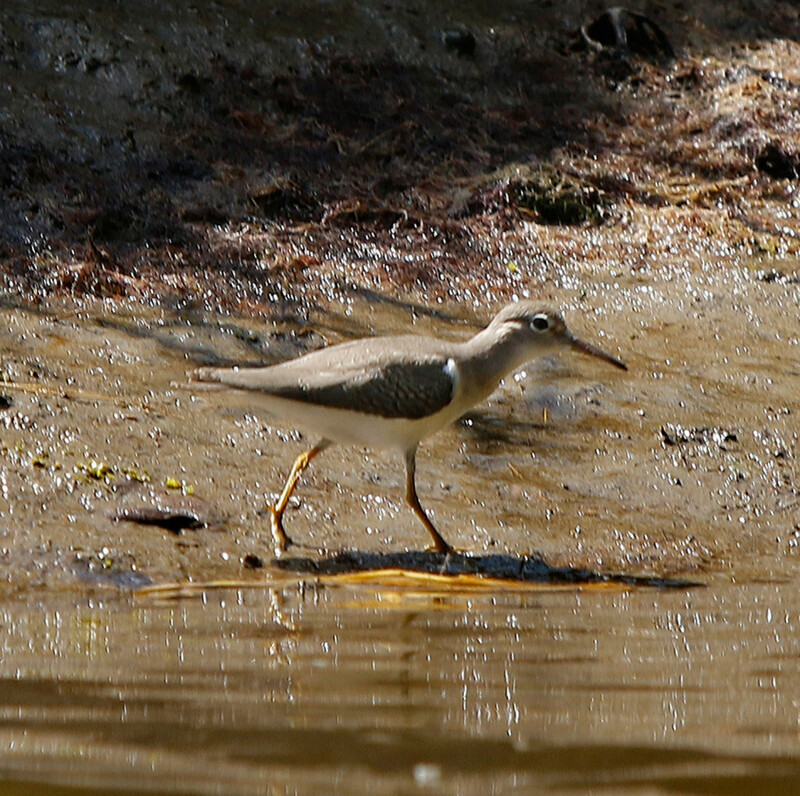 At 2,250 acres, the Wells Reserve is one of the smallest in the system, and one of just four in the Northeast. It is the only one in Maine. 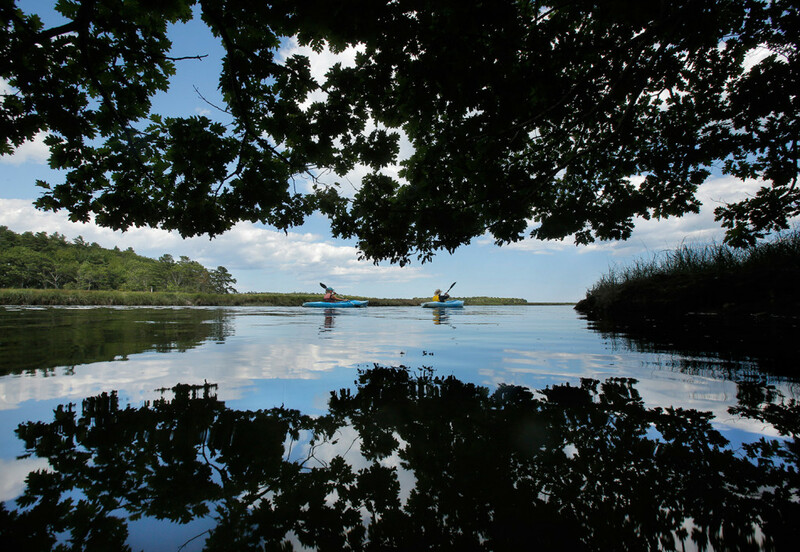 The reserve offers ecology seminars and guided walks through its mature forest, farm fields, salt marshes and tidal pools. A barn classroom is the site of lectures on the scientific research here that includes work on restoring the threatened New England cottontail rabbit, the discovery of two rare dragonflies – the seaside dragonlet and the citrine forktail – and the monitoring of green crab populations along the Maine coast. The Wells Reserve also trains thousands of people in local communities how to monitor rivers to help maintain healthy ecosystems and wildlife populations. Still, the work at these national research centers is always a mystery to the public, Bickford said. The land along the river is protected by the Wells Reserve and the Rachel Carson National Wildlife Refuge. Other than the occasional hiker sitting at a riverbank overlook, there’s no sign of people here. The hum of traffic from Route 1 can be heard at some turns in the river, but mostly the sounds here are of marsh grass and trees blowing in the ocean breeze and piping plovers darting across the river. Last Monday, three locals and two tourists in the group said they came to learn to paddle and to enjoy the camaraderie of a group paddle. The nature tour, they said, was a nice extra. “I like to kayak. 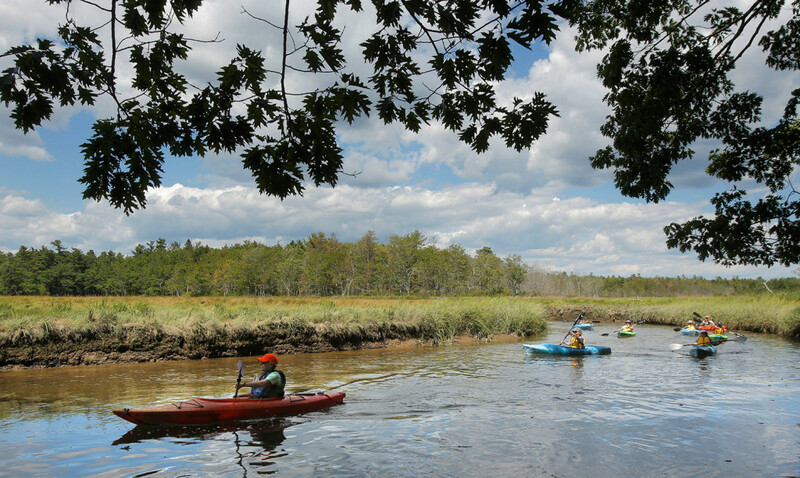 And I like kayaking long distances, like this,” said Syrah Arena, 13, of Malden, Massachusetts. Karen Crum of Kennebunk, who recently moved down the coast from Belfast, came to learn safe areas to paddle in southern Maine. And Nancye Tuttle of Wells, who moved to the area three years ago from Massachusetts, said learning to kayak has been on her bucket list. She came specifically for the kayak lesson – and enjoyed success. Meanwhile, Bickford made the water trip about science. 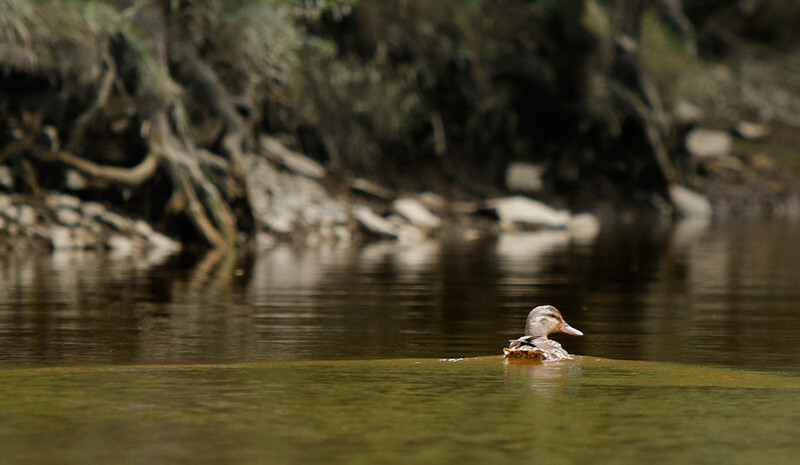 Right after they launched she paddled up to a device that takes readings of nutrients in the river. “It’s gathered data every 15 minutes for 20 years on the salinity and the water temperatures,” she said. Later, she stopped along a section of marsh that fell into the river in severe flooding in 2006 and 2007. The latest reserve study, Bickford explained with excitement, is on the ecosystem’s daily sounds and what they can reveal about wildlife populations. Bickford hopes the two-year-old study that has help from Purdue University is adopted by the other estuarine reserves. To illustrate the study, Bickford asked the paddlers to sit in their boats without talking for two minutes and just listen. They came away with a keener sense of the natural world around them.